Conveyor 22’s flexible building system simplifies installation and optimizes productivity. 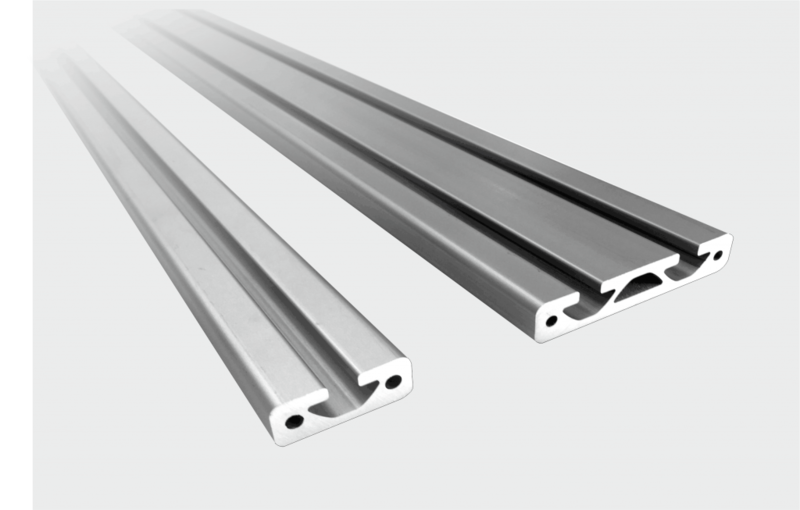 The low profile aluminium bar is string pressed and combines low weight and high strength. The broad profile with its twin T-slots is very stiff and stable giving very good torsional rigidity and stability. The anodized surface has a high surface finish and corrosion resistance. Multiple feeding trays can be mounted on the bar. The bar can be delivered to you at all length scales. 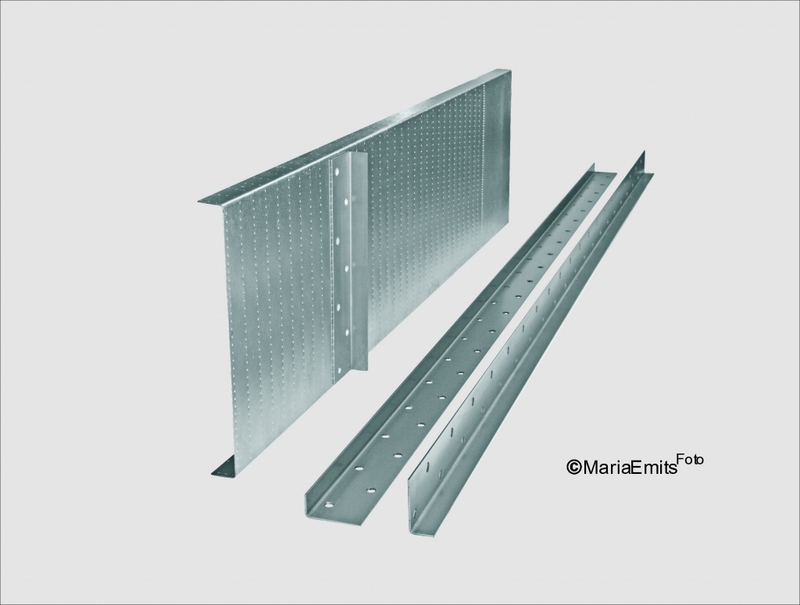 The bar fastener has a low profile and is laser cut from high strength steel. Bar fasteners are delivered in pairs with accompanying clamping screws in 10.9-DIN quality. Alumium Bar fastened on the conveyor with special countersunk head screws to 10.9-DIN quality. This can be appied when a completely smooth surface on the bar is required. 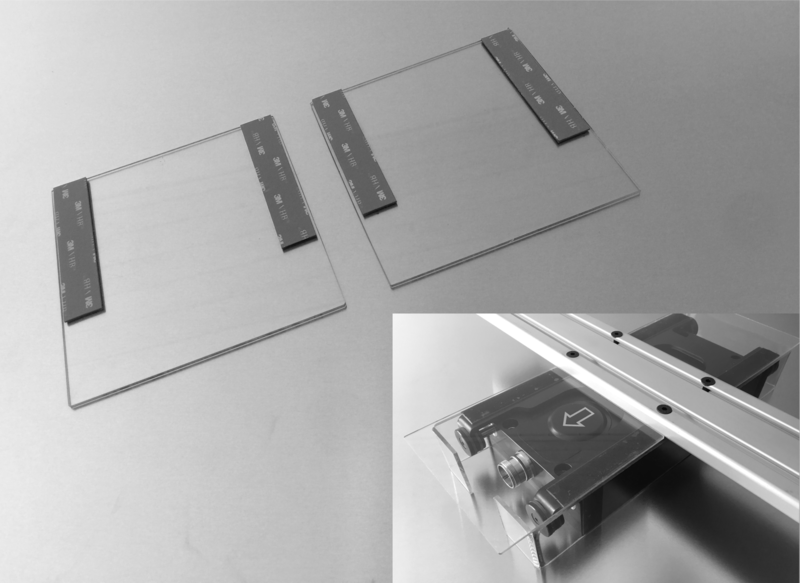 It allows the feeling tray to attach directly onto the bar over the conveyor. This flexible bar is designed for instant changing of multiple feeding trays. 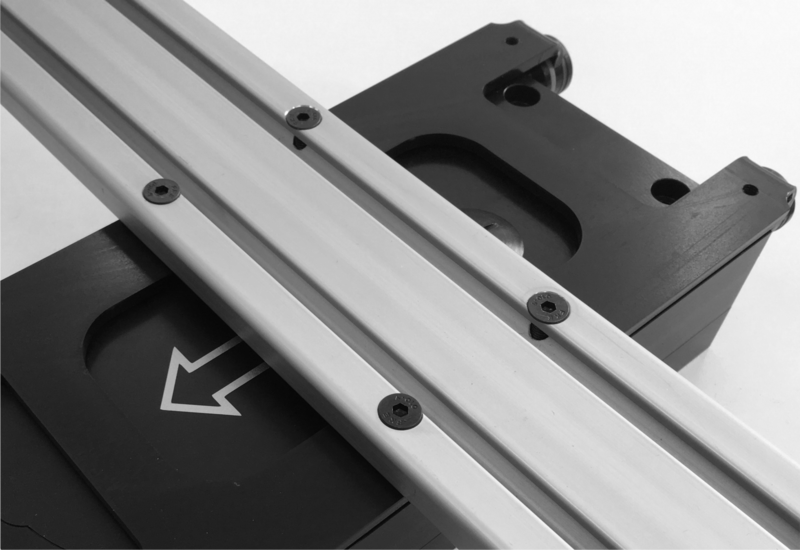 Easily mounted on the conveyor with Quick Bars integrated screws. 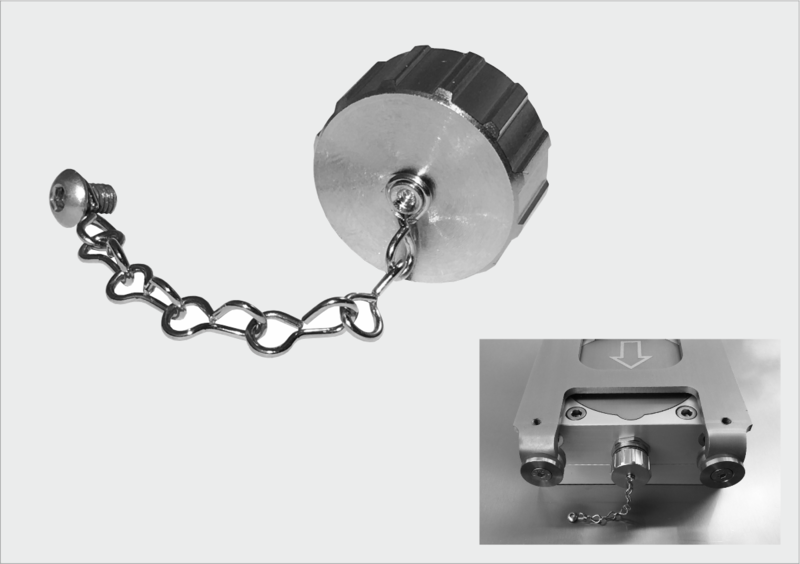 Mechanical hand-tensioner locks in seconds the feeding tray in the Quick Bar tracks without tools. Simplified handling – Shorter set-up time! Angle Bracket QB is intended for welding beneath the feeding tray when using the QB. 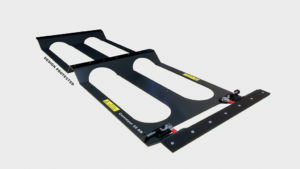 Adjustable lift in height (Z), is specially designed for Black Line ECS-121 conveyor. 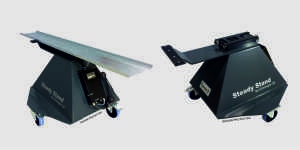 The lift can easily be mounted on the stamping press or manufacturing equipment with 4 x M12 bolts. In a few seconds, the height setting is easily done with a crank. The stroke level is 200 mm. When replacing manufacturing equipment, the conveyor bolted to the lift can be cranked down below the stamping press table’s surface. Tool change is simplified – setup time is shortened! Adjustable lift in height (Z), is specially designed for Black Line ECS-121 conveyor. 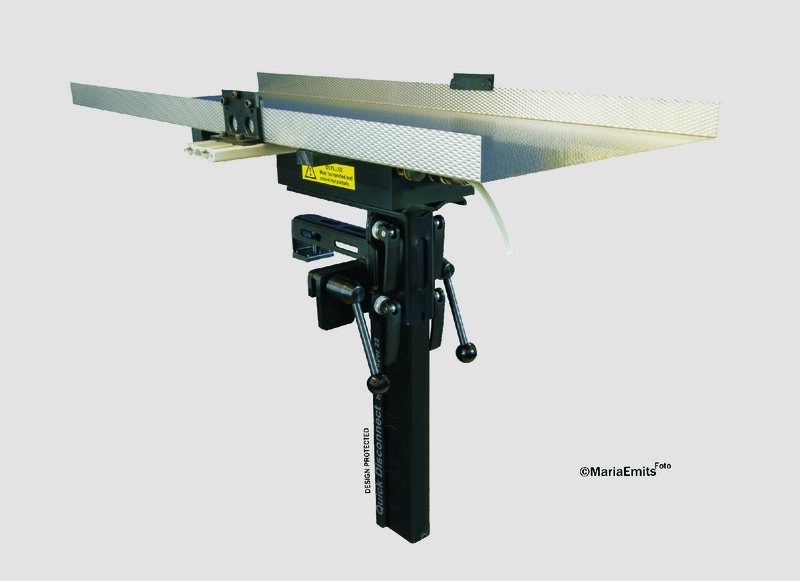 The lift can easily be mounted on the stamping press or manufacturing equipment with 4 x M16 bolts. In a few seconds, the height setting is easily done with a crank. The stroke level is 230 mm. The Conveyor lift 230/1100 is able to handle either Quick Bar 2000 mm or aluminium bar up to 2500 mm. When replacing manufacturing equipment, the conveyor bolted to the lift can be cranked down below the stamping press table’s surface. 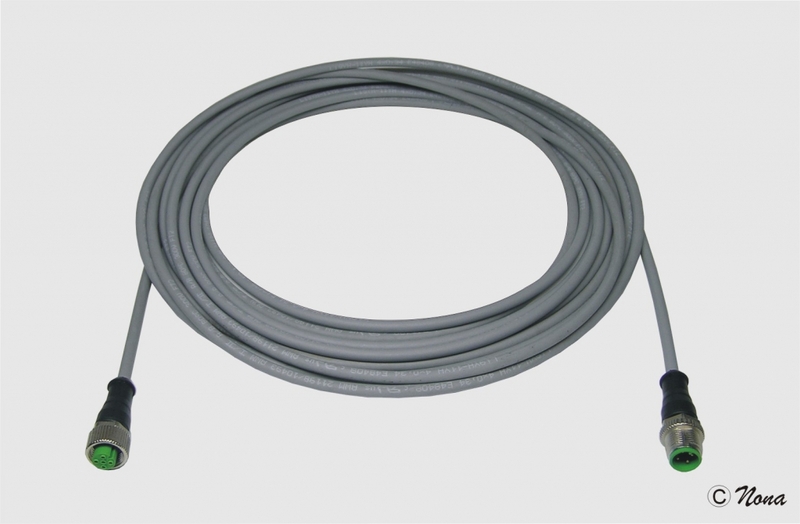 Quick Disconnect is maintenance free and manufactured in high strength steel. 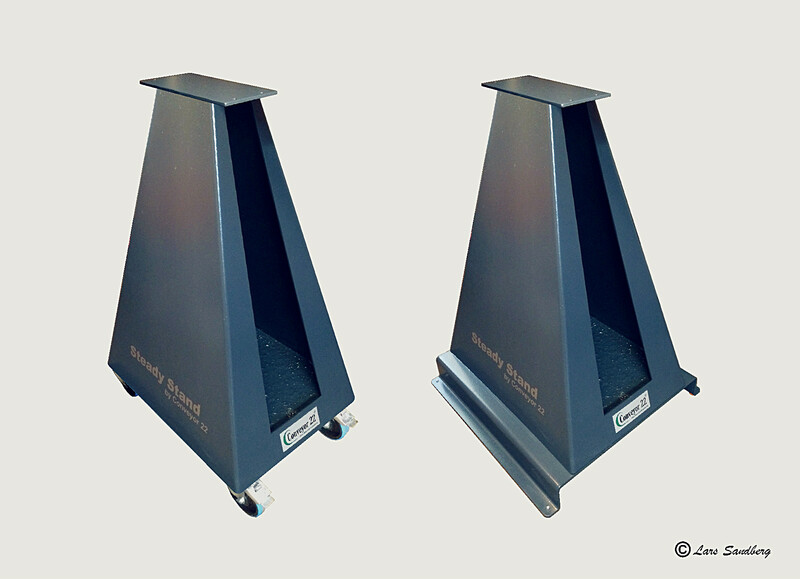 Floor based stand is either fitted with machine feet or wheels with brakes, manufactured in high strength steel and customized in height. Steady Stand is designed to enable the complete conveyor unit to be easily moved between different manufacturing machines. 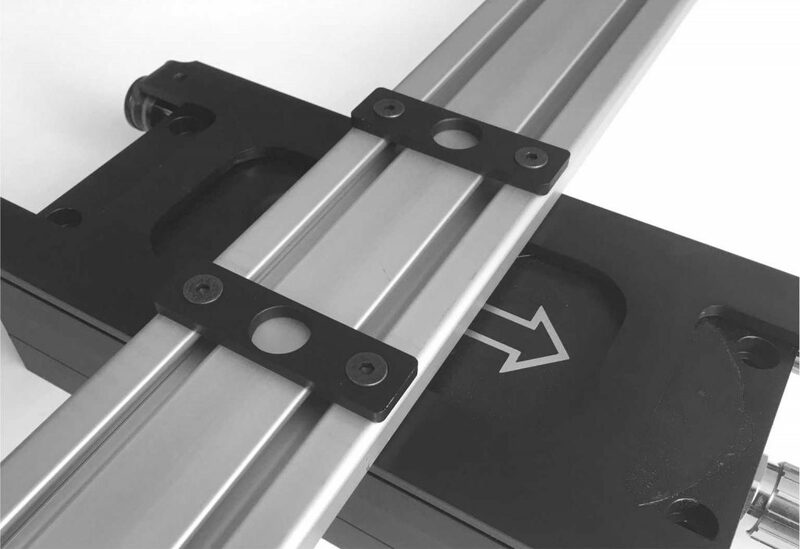 As an alternative to mounting the conveyor on a manufacturing machine, the Steady Stand is suitable to be an attachment to fasten the conveyor upon with feeding trays and other extra features. Example: Steady Stand 500 – a low model, placed under the press table. 3-wheel adapter ensures the stability on uneven surfaces. 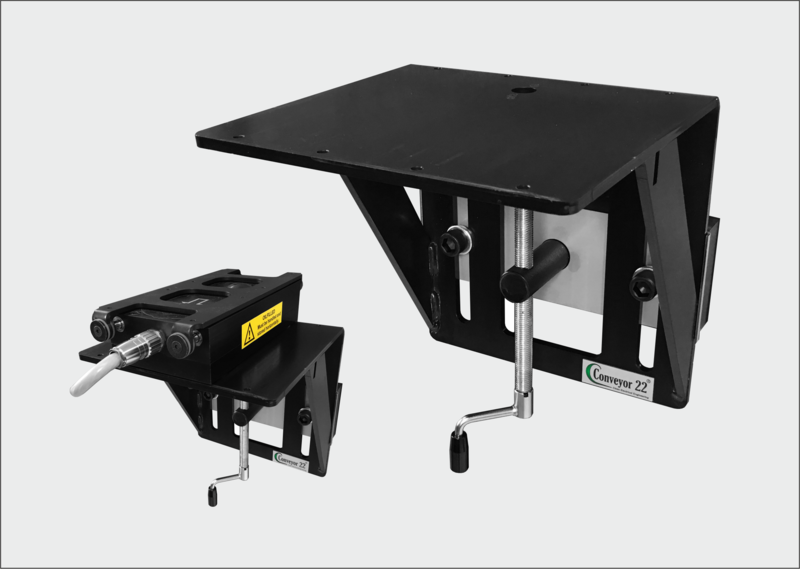 The control box is mounted directly on Steady Stand and the cable between conveyor and control box is stored within the stand. 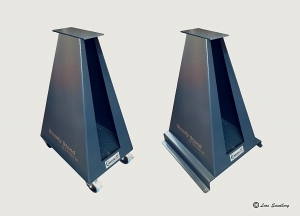 Steady Stand 500 is cement-filled and weights 150 kg. Tray support gives the feeding tray maximum stability. It comes with sliding elements in high molecular polyethylene, and is easily fitted under the conveyor with the same bolts as the conveyor is mounted with. Adjustable turn plate for ECS-121 electric transporter. Turn Plate 90˚ is smoothly adjusted with 45 degrees rotation of the conveyor to the right from neutral position and 45 degrees to the left from the neutral position. 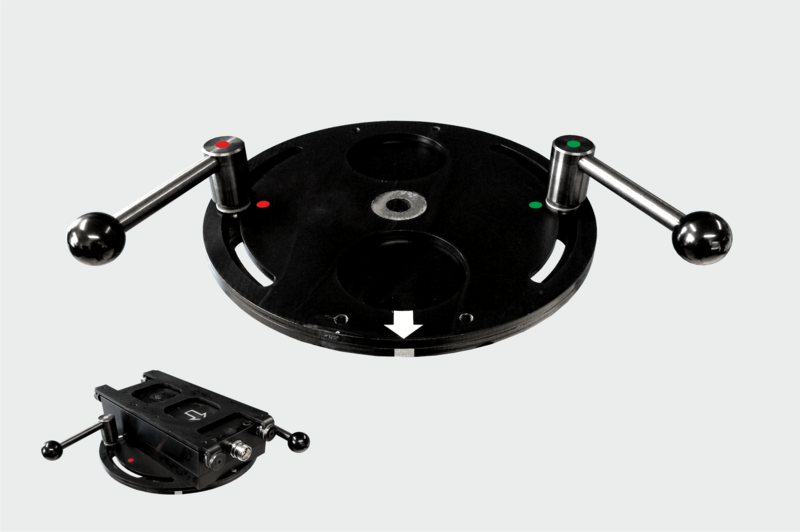 The turn plate is mounted with the supplied bolts and is locked with steel levers. 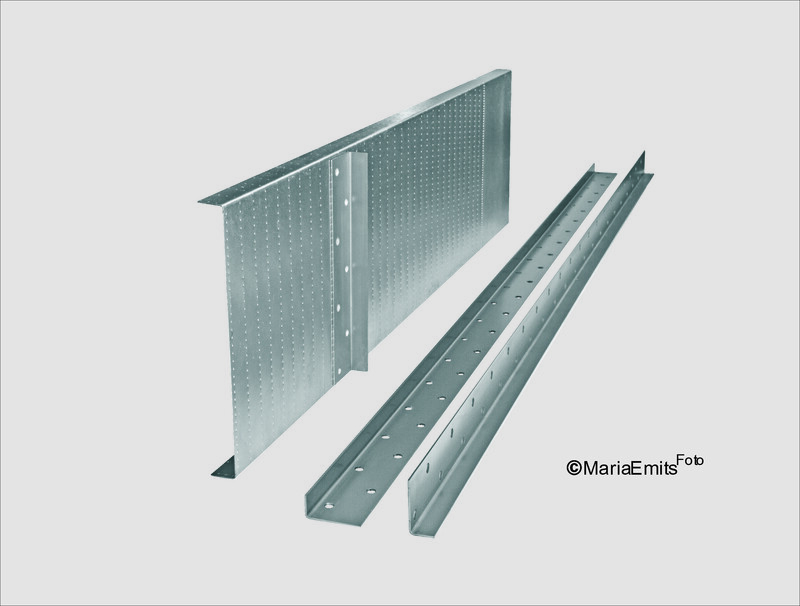 Turn Plate 90 is manufactured in high strength steel. The signal cable connects the control box and the stamping press/manufacturing machine. The conveyor can easily be controlled remotely via cable. The control box also sends a signal through the signal cable to the stamping press/manufacturing machine in case of malfunction. An additional method of connecting to our conveyors as an alternative to the straight entry connector. Used when space is limited around the conveyor. Please request this if required when ordering. 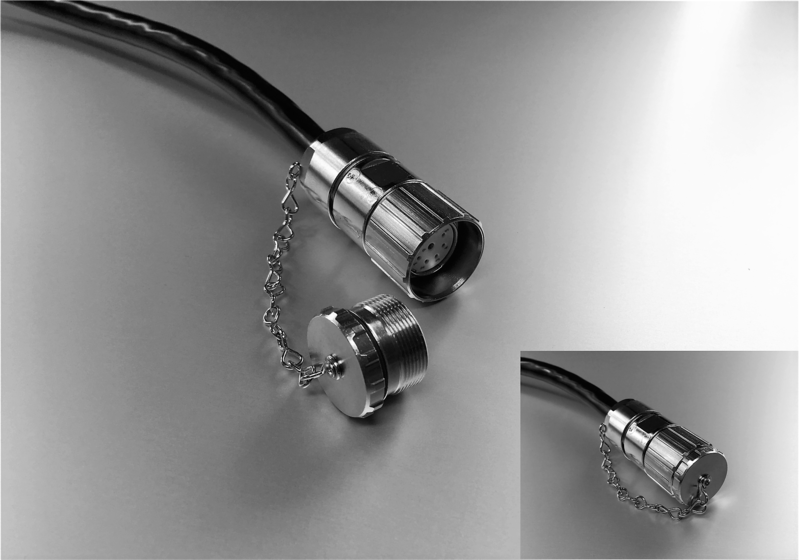 made of nickel plated Copper-zinc alloy and comes with M4 mounting screw and 70 mm length of chain. IP67 when locked in position. 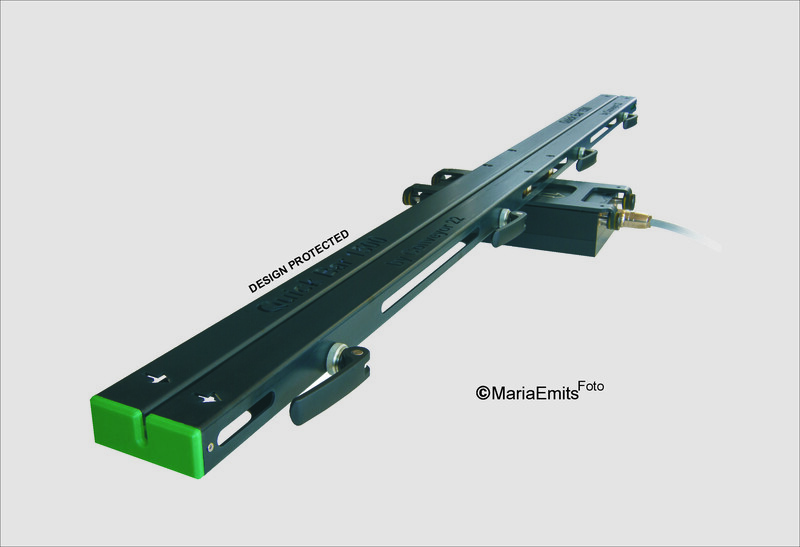 Barrier is to reduce pinching risk when the conveyor is mounted unprotected, e.g. outside the manufacturing machine. 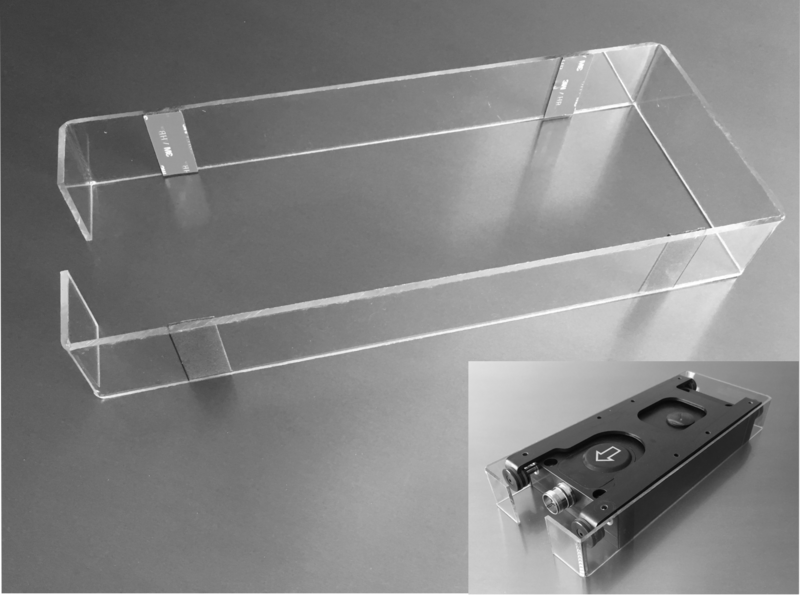 Made of 3 mm polycarbonate and comes with double-sided metal tape.